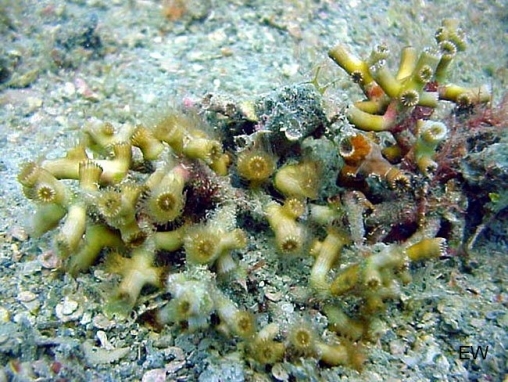 Colonies are clumps of small, tubular branches and corallites, which either may be attached to rock on reefs, especially in sedimented areas, or they may be loose and free living, commonly on rubble or in seagrass. The basal parts of the branches are commonly dead and may be fragmenting. Corallites are 4 mm in diameter or less. Their outer surfaces have clear ridges (costae), and fine tentacles are extended in daytime.